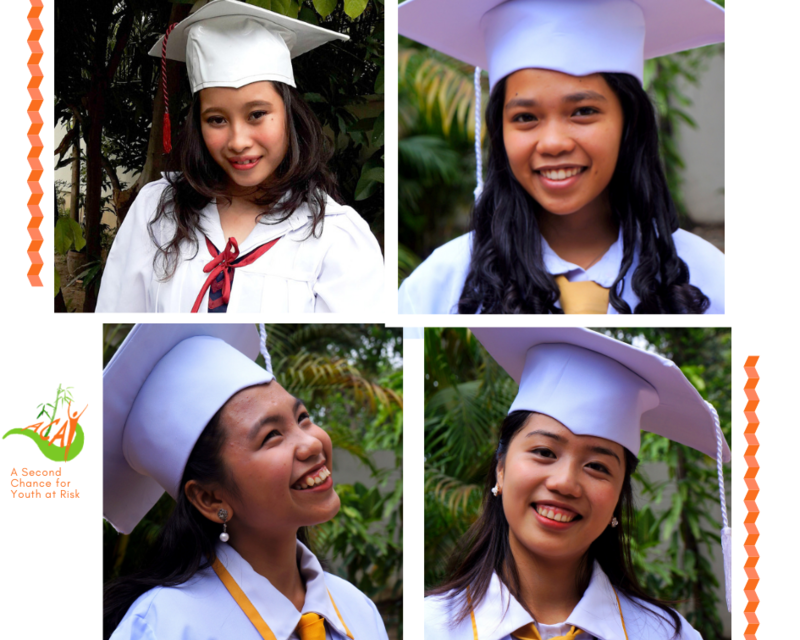 It was another year of proud moment for ACAY to see these four young ladies from School of Life program wearing their graduation suit and walking in the aisle as they received their diploma. It is always a success to celebrate this milestone with this ladies who have shown perseverance and hard work in their studies. The staffs, sisters and volunteers came to the graduation ceremony to cheer and to greet the graduates. One of the graduates mother was also present which made the moment more special. It is a well-deserved success for each one of the graduates. ACAY is deeply thankful to all it’s partners and donors who always support our programs and in that way help us give Second Chance to Youth at Risk.